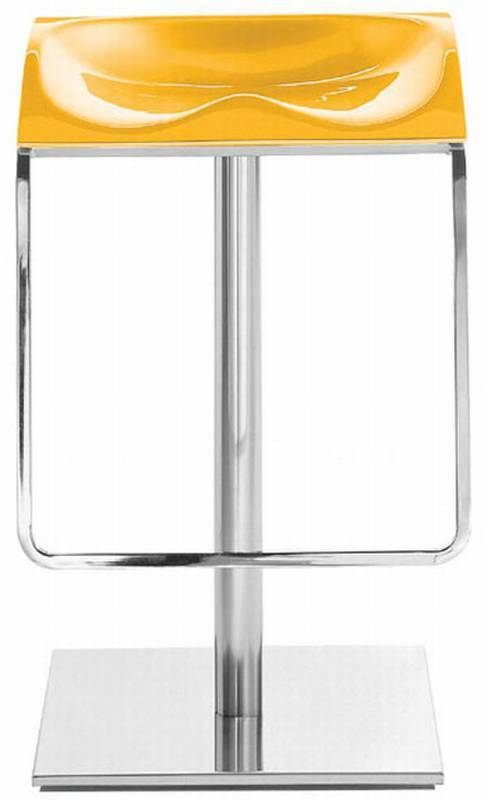 Description Adjustable height stool with chrome steel stem and central base. The acrylic seat available in the chromed or coloured transparent or opaque version, makes the stool attractive and resistant at the same time. The height adjusts thanks to a gas piston hidden within the column, and a discrete handle beneath the seat.